Surge voltage generators are used for pre-location and pinpointing of high- and low-resistive as well as intermittent faults in power cables. 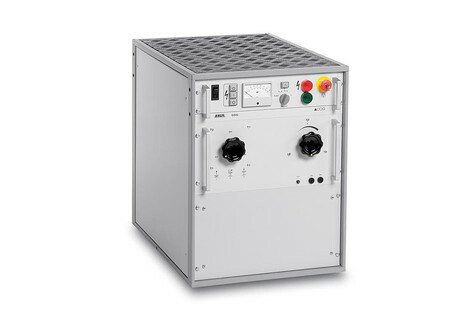 The energy stored in a high-voltage capacitor is released at regular intervals or as DC voltage. The thus generated acoustic signal at the fault position can be recorded with a ground microphone and a universal receiver. BAUR GmbH is a market leader in the servicing and maintenance of electrical power distribution systems and their components.